New AHOLA-album in the making! New AHOLA-album is finally in the making. 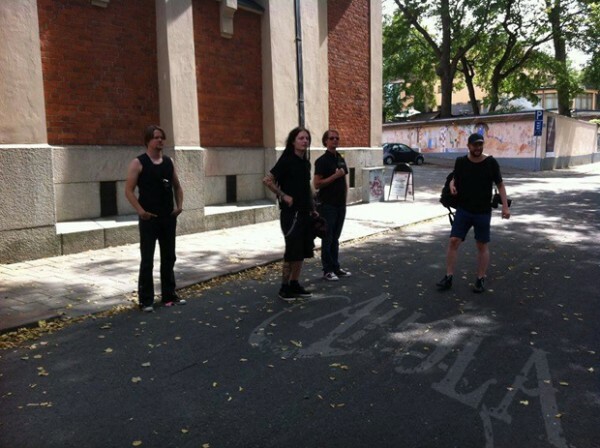 The band had a photo shoot in Turku this week with Samuli Karala behind the camera. The drumming session follows next week in Tampere @ Headline Studio with Jani Viitanen behind the knobs and J. as a producer. The rehearsal schedule appeared to be very tight in the end, since some new songs followed up at the last hour. But hey, the guys like the challenge and the fact that not everything is strictly planned ahead.